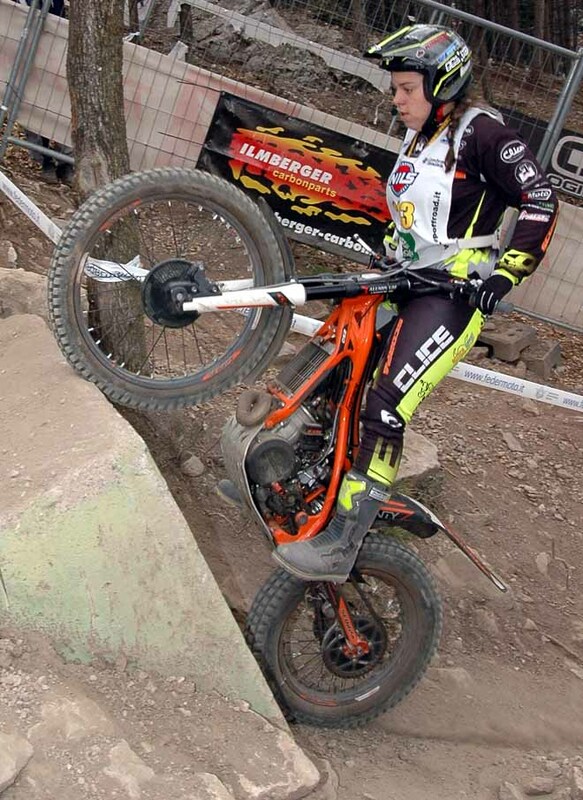 British Jack Peace (Gas Gas) and German Therese Bauml (Beta) clinched the European titles in the Youth class and Women class in the last round held in the Bavarian town of Grossheubach, Germany, very well known to all Trial circus for many important events organized in the past. It is located more or less 80 kilometers from Frankfurt, nestling in a valley between the Spessat and Odenwald foothills. No doubt for the title in the women class. 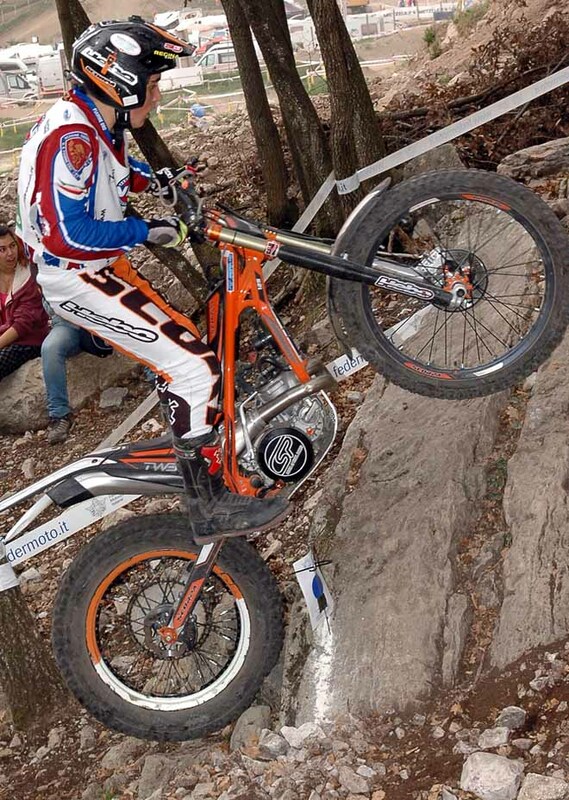 Therese won even this fourth and last round and deserved to climb the highest step of the podium. She collected 14 points in the first loop, gaining soon a significant advantage on the couple formed by Norwegian Ingveig Hakonsen (Beta) and German Bianca Huber (Scorpa) on quote 22. In the second part Ingveig rode in superlative way, scoring only 5 marks. Too late to worry the leader, who making 8 mistakes kept the first position, winning race and title. It is her second European trophy in a row. The Norwegian's finished second and overtook in the final standings Italian Sara Trentini (Beta) today only in sixth place. Third Bianca Huber. 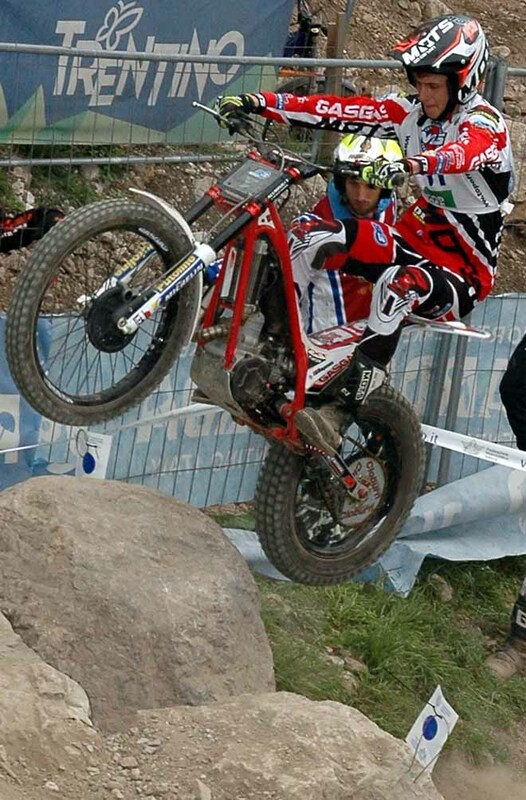 Rich of dramatic turns of event the fight for assigning the title in the Youth class. Before this last round Jack Peace was leader 15 points clear on Italian Lorenzo Gandola (Scorpa) and both shared the wins and the second places in the previous rounds. 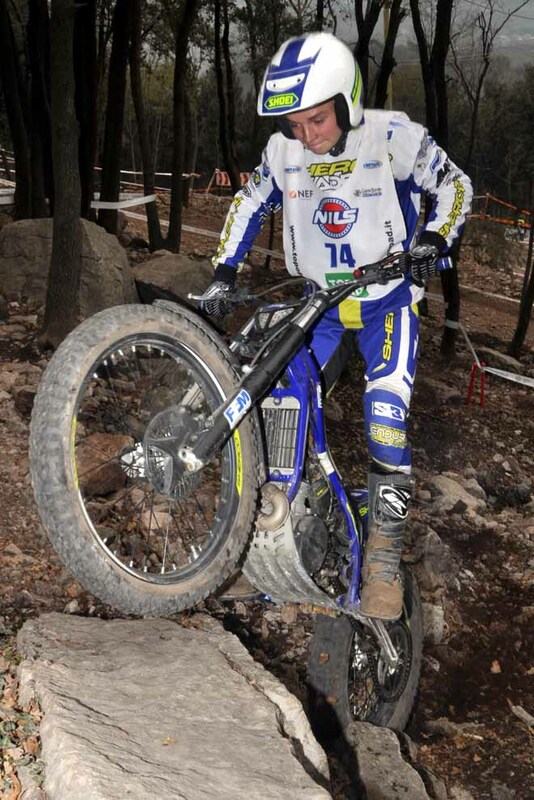 All the odds were in favor of an other intense battle between these two's but today French Kieran Touly (Sherco) played the role of outsider catching the first place and delivering the title to Peace. Because Peace was beat by Gandola and reached by him as total number of points, but thanks to Touly who tore the victory to Italian's, he could boast one victory more! 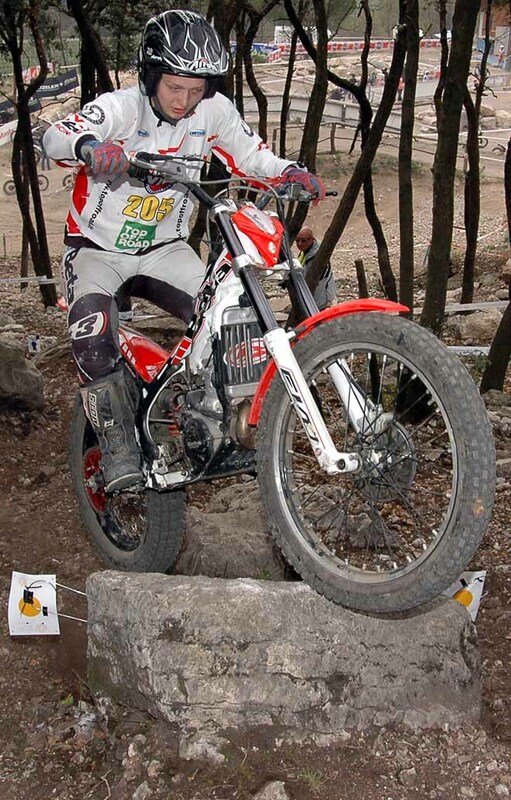 Very unlucky Gandola , who started this competition very strongly scoring only 7 points in the first loop. Touly was behind with 11 errors. In third Billy Green (Beta) 13 points ahead of Peace (15). At this points the champion would have been Gandola. But two events overturned the situation. First, the masterpiece second loop of Touly, fully clean, that meant first victory for the Frenchman! Gandola scored 8 and slid to the second place, that was enough to clinched the title if Green would have maintained the third place, but Peace, scoring just 6, overtook him and climbed to third place. Both Peace and Gandola finished the championship with 355 points, but Peace won twice, Gandola just one. 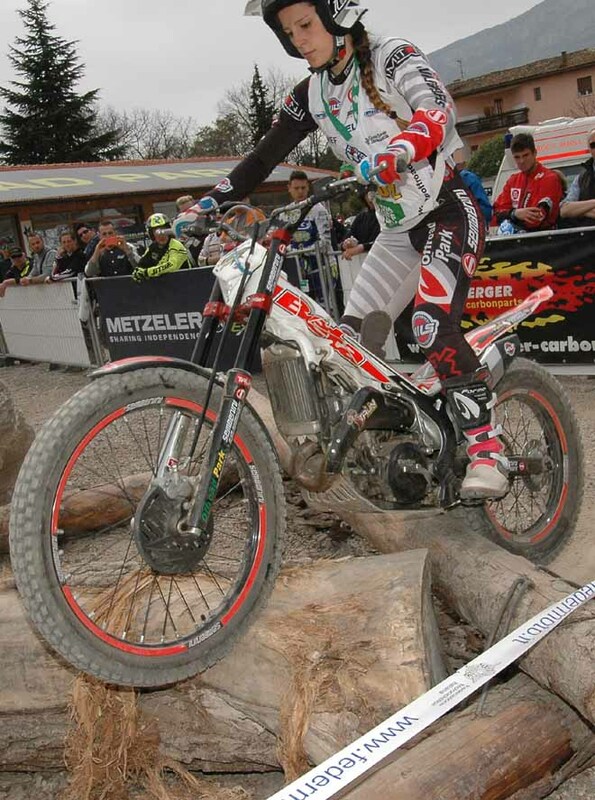 In the International Youth class German Nick Weber (Beta) beat Belgian Alex Crosset (Gas Gas). Third German Valentin Daum (Scorpa). Between the Inernational Women, the best was German Carolin Sauerbrei (Sherco) ahead of British Alicia Robinson (Beta) and Alexandra Huber (Beta) finished in this order. Positive note to have 29 females competing split in the two classes. To-morrow on the same place it will be held the last round of European Championship and Junior Cup and Over 40 Cup. Sfortunato Gandola che a metà gara era in testa con il suo avversario, Jack Peace che lo precedeva in campionato di 15 punti, solo quarto. A quel punto il campionato Youth sarebbe stato suo. Poi il francese Touly che si trovava in seconda posizione con 11 punti, fa un giro a zero e va a vincere. A Gandola secondo sarebbe ancora bastato che Green terzo avesse mantenuto la sua posizione. Invece Peace lo ha sorpassato. Entrambi in campionato hanno collezionato 355 punti ma Peace conta una vittoria in più. Nessun problemaper la Bauml tra le donne. Sara è solo sesta es in campionato ha dovuto cedere la seconda piazza alla norvegiese Hakonsen. YOUTH, YOUTH INTERN. WOMEN, WOMEN INTERN.